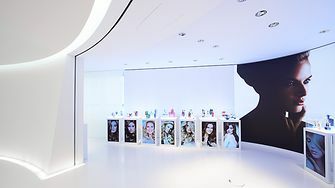 The Venture Capital Team of Henkel Beauty Care is joining two unique events that bring together world-leading beauty brands and retailers with the most innovative and disruptive start-ups in the industry. The Beauty & Money Summit is an exclusive one-day event, connecting industry executives from strategic buyers, financial buyers and independent beauty brands. It will take place for the first time in Europe on June 28 in London including the pitch session “Beauty Spotlight”. Twelve independent beauty brands will be selected by a committee to introduce themselves and their products on the main stage. The INNOCOS Summit takes place in beautiful Florence on June 14-15, 2018. At the prior “shark-tank” inspired beauty start-ups pitch event “INNOCOS Venture” on June 13th, a hand-picked selection of start-ups will present their ideas to a professional jury. Henkel is looking forward to network with start-ups, pioneers, and creatives. “The beauty business lives on innovations! Therefore, it is essential for us to cooperate with innovative partners like start-ups to get inspiring insights and work together with them on new technologies, applications and business models”, says Marie-Ève Schröder, Corporate Senior Vice President International Marketing Henkel Beauty Care, who will be part of the selection committee of both pitch events. Do you currently own an independent beauty brand and want to see it grow? 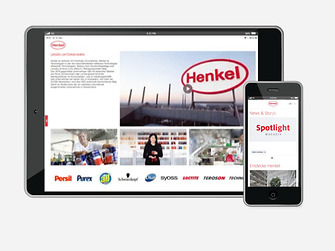 Would you like to connect with Henkel Beauty Care to grow your product line? What are you waiting for...submit your application today. Submission deadlines are approaching soon! Henkel&apos;s Beauty Care Unit holds leading market positions worldwide and its brand-name products business is continuously expanding.